A Highly recommended read that will touch your heart. 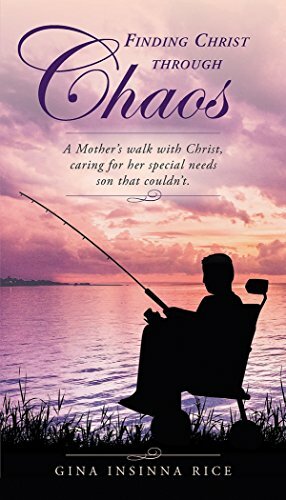 Finding Christ Through the Chaos: A Mother’s Walk with Christ, Caring for Her Special Needs Child Son that Couldn’t by Gina Insinna Rice is her life story from childhood, giving birth to a son born with cerebral palsy and finding Christ through it all. Her life’s unexpected twists and turns reveal an intimate walk with God and the discovery of His presence through a series of encounters. 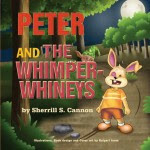 Her story is unique as she describes the chapters of her family’s lives through a whirlwind of events. Her story is amazing, heartwarming, and touching. 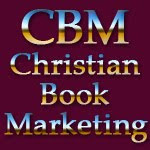 Readers will laugh and cry but will also be greatly encouraged by her constant faith in God, as she candidly shares memorable moments and reveals a sense of humor all the way through. The theme that resonates throughout her testimony is that Gina simply never gave up. At the age of twenty-one, caring for a special needs child brought her joy, tears and a perseverance not from this world, but that came from God as He gave her strength for the journey. Both Gina and her husband also remain a “statistic” in her community (parents with special needs children that remain married), giving all the glory to God. Gina has written her testimony to share with others God’s faithfulness and to encourage caregivers of special needs children. 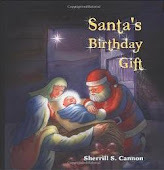 Surely, her book is a testament to faith in God no matter the circumstance, that gives triumph to a mother’s unending love (and father’s), unfolding a true love story of triumph, loyalty, the bonds of family and God that are unbreakable. Throughout she expresses her love to God and to others, revealing a simple walk of trusting in Him one day at a time. 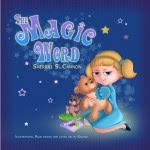 Inspiring and uplifting, this book is memorable and comes highly recommended for all that may be suffering, or for those who may be caring for a sick child or parent. Get your copy of Finding Christ Through the Chaos at Amazon and in Kindle as a download.